Tata Motors passenger and commercial vehicle sales (including exports) in September 2016 were at 48,648 vehicles, a growth of 8%, over 45,215 vehicles sold in September 2015. The company’s domestic sales of Tata commercial and passenger vehicles for September 2016 was at 42,961 nos., a growth of 5%, over September 2015. The company continued to witness year-on-year growth in certain key segments in September 2016, with the company’s Export business growing by 29%, passenger car sales grew by 27% and LCVs continued to grow by 19%. Cumulative sales (including exports) of the company for the fiscal was at 258,598 nos., higher by 7% over 242,562 vehicles, sold last year. In September 2016, Tata Motors passenger vehicles, in the domestic market, recorded a sale of 14,601 nos., growth of 24%, compared to 11,732 nos. sold in September 2015. 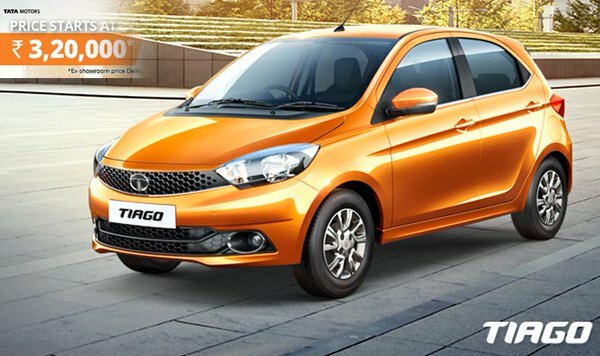 The passenger car sales continued its growth momentum due to strong demand for the recently launched Tiago. Cumulative sales growth of all passenger vehicles in the domestic market, were 72,665 nos., a growth of 12%, compared to 64,718 nos., in September 2015. The overall commercial vehicles sales in September 2016, in the domestic market were at 28,360 nos., lower by 2%, over September 2015. While the sales of Tata Motors Light Commercial Vehicles, continued to grow in the domestic market by 19%, over September 2015, M&HCV sales continued to be stressed due to subdued demand, with the slowdown of recent months continuing, as a result of postponement of replacement and fleet expansion. Cumulative sales of commercial vehicles in the domestic market for the fiscal were at 154,464 nos., higher by 3% over last year. The company’s sales from exports was at 5,687 nos., in September 2016, a growth of 29% compared to 4,402 vehicles sold in September 2015. The cumulative sales from exports for the fiscal was at 31,469 nos., higher by 12%, over 28,201 nos., sold last year. You can add your opinion by commenting below.